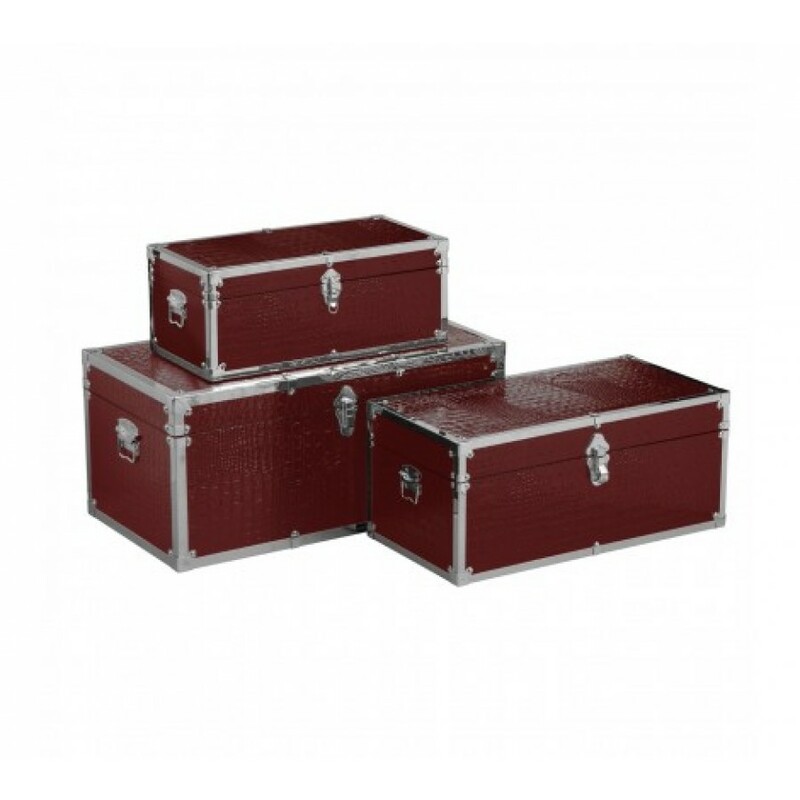 Keeping your home organised and tidy, the striking set of three storage trunks will make a stylish and practical impact in your home. Each case, small, medium and large, is made from lightweight yet durable particle board and finished with chic crocodile red leather effect for a unique look. Gleaming stainless steel edges will make the trunks more sturdy while reflecting style into your bedroom or living area. The trunks have steel handles on either side allowing you to move them when required. Strong steel locking latches will securely fasten adding to the safekeeping of your contents. Ideal for storing your household belongings, the trunks will keep your items safe from damages and dust, while helping to keep your home clutter free. The beautiful and striking set of three trunks would complement a contemporary setting giving you style and practicality everyday.